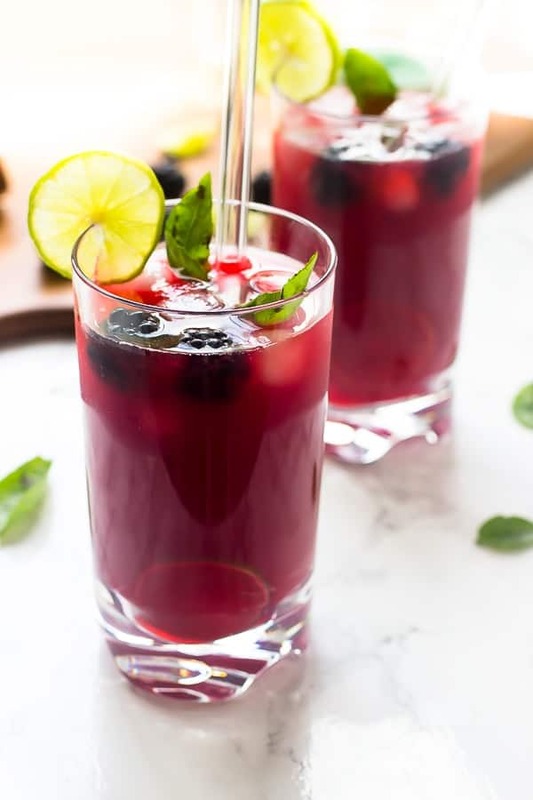 Pour a glass of this cool and refreshing Blackberry Limeade made with just 5 ingredients in just 20 minutes for a great summer drink! It’s almost August! I can’t believe summer is already winding down. The one positive I can find to this is that pretty soon we will be celebrating with all things pumpkin, aka one of the best veggies ever. Until then, I’m happy to have as many blackberries, peaches, plums and other end of summer fruits up to the very last day. I don’t make many drinks on the blog but I just couldn’t resist this Blackberry Limeade. 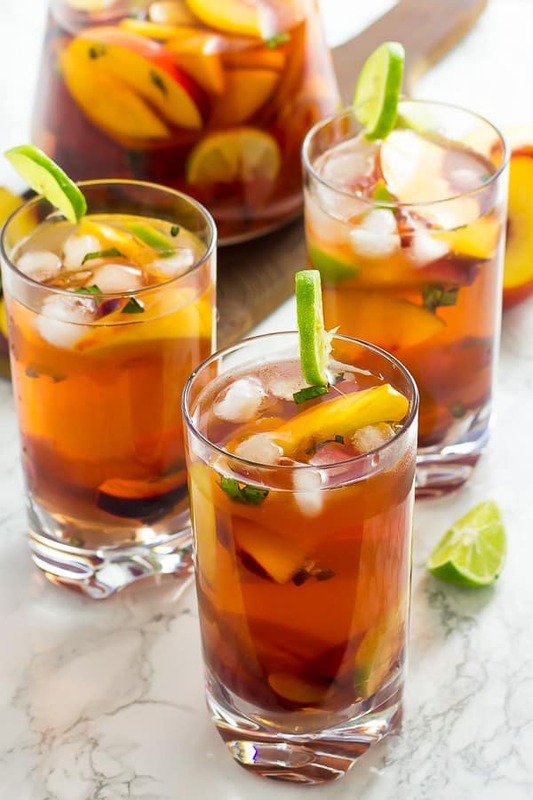 It is so easy and refreshing that it would be an absolute shame to end summer without having at least one, make that 10 sips of this delicious refreshing drink. Best part? 5 ingredients, one being water, and it’s all ready in just 20 minutes. My growing interest in blackberries started when the first drink we had in Tulum, Mexico was a blackberry lemonade. 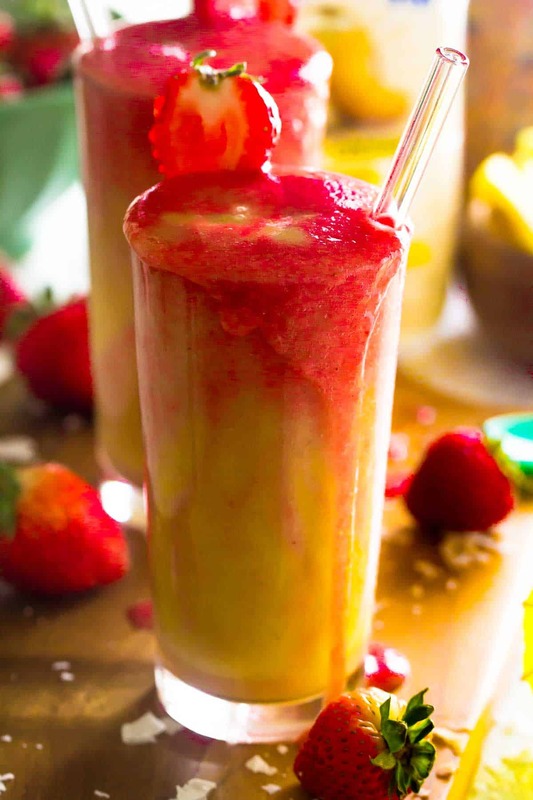 I thought it was delicious, refreshing and so fruity and I haven’t been able to stay away from them since. The only problem I had was all those seeds in my drink! I knew I needed to recreate it at home, but into a limeade that was easy to make and free of endless seeds. The result was a drink so delicious that we finished the entire pitcher in one day. One. Day. 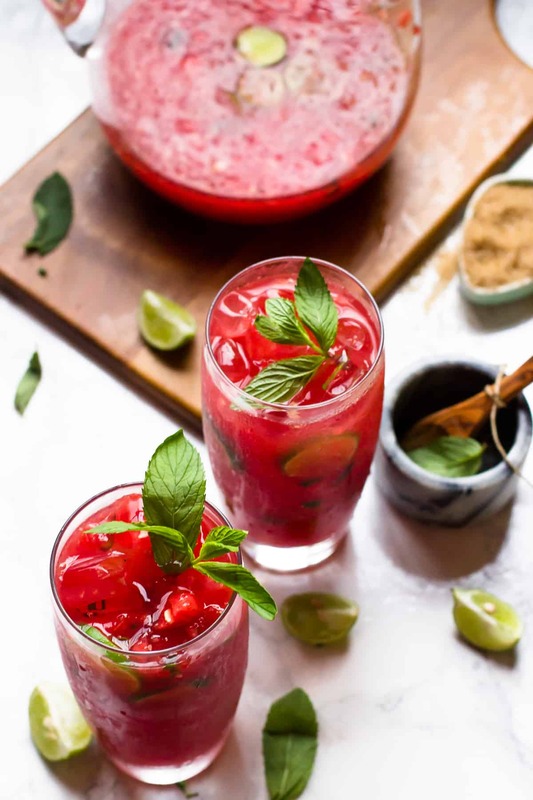 To make this blackberry limeade, there are just a few steps. First. it’s heating the ingredients in a pot, bringing them to a delicious red boil to infuse all the flavours. Smashing the blackberries definitely helps to extract their tarty juicy flavour and to bring it together with the lime and basil. This essentially makes a thick natural blackberry simple syrup that you could easily add to a blackberry mojito if you chose instead. After that, you blend once again, strain and add in the extra cold water. I opted for 2 cups of additional water, but if you wanted it even sweeter you could only add 1 ½ cups of water. 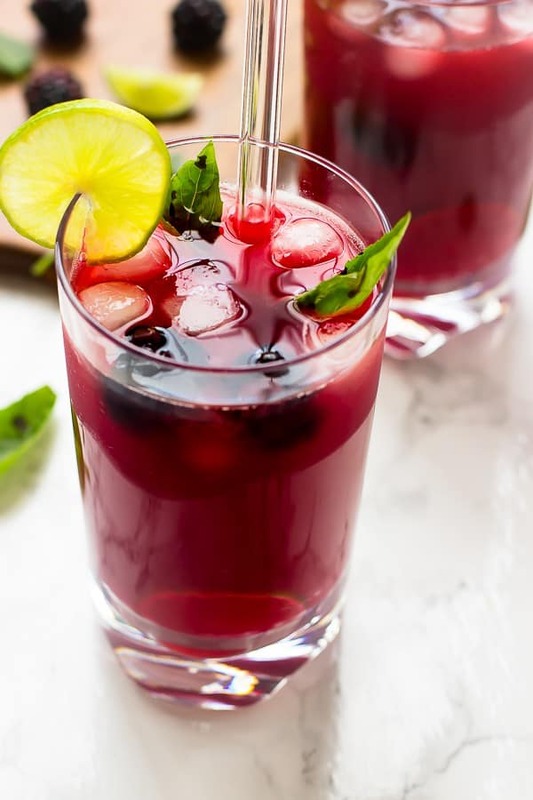 Other than the taste, my favourite thing about this blackberry limeade is that it’s completely natural, made with unrefined ingredients and loaded with great nutritional benefits of blackberries, basil and lime all in one. You could actually turn this into a chia fresca by adding in some chia seeds into each glass for additional nutritional value. Who doesn’t love sipping away knowing that they are doing their body good? This is the perfect time to enjoy what we have left of summer. Happy drinking! 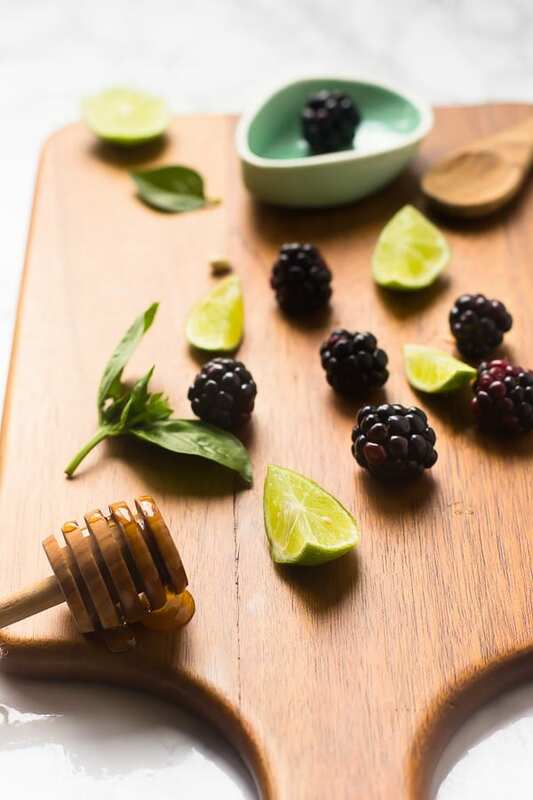 In a pot over high heat, add the blackberries, sugar, limes, basil leaves and ½ cup water. Smash the blackberries with the back of a wooden spoon and stir to combine. Bring to a boil then reduce to medium heat to cook for about 5 minutes. Remove from heat and allow to cool for about 5 minutes, then pour into a blender to blend everything together again. Strain over a pitcher to remove seeds and solids. Add in the extra 1 ½ or 2 cups of cold water and stir together (add 1 ½ cups first then taste to see if you'll need the extra ½ cup). 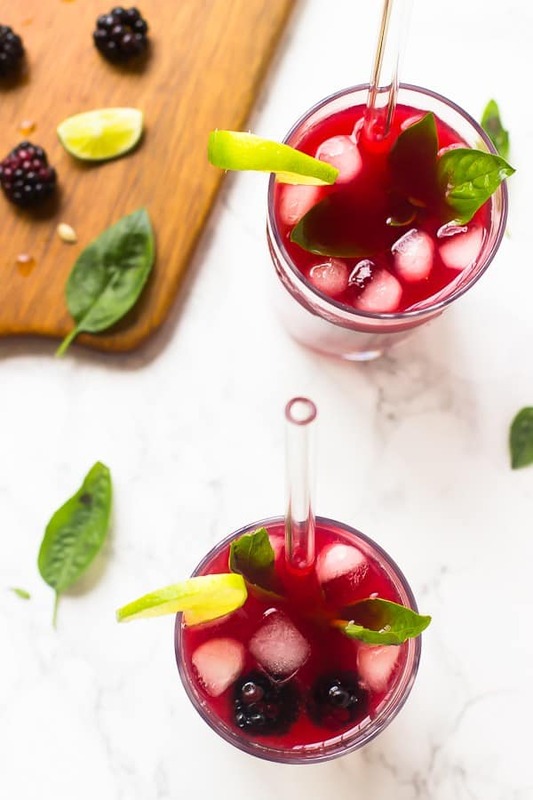 Serve immediately with fresh blackberries and basil leaves in each glass. 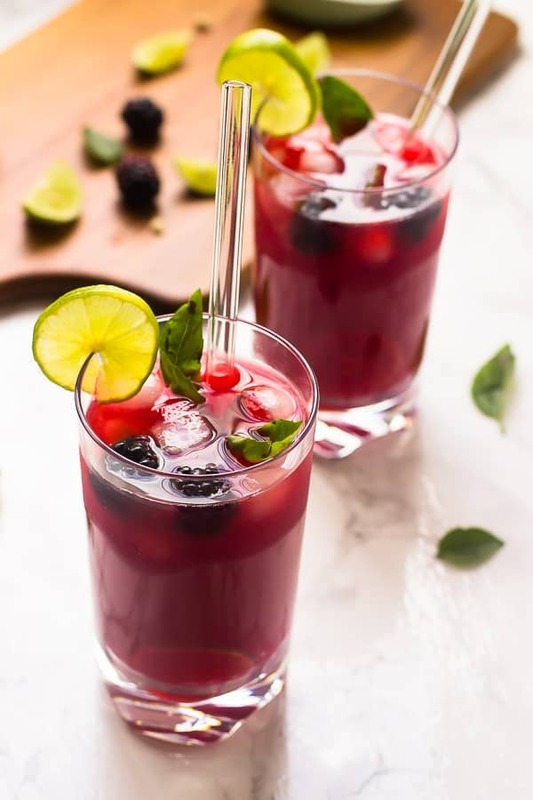 If you try this Blackberry Limeade please let me know in the comment section below, or tag me on instagram with the hashtag #jessicainthekitchen! For more exclusive recipes follow me on Instagram AND on Snapchat: jessinkitchen. Gorgeous colour! I would love one large glass too. how pretty! the color is gorgeous, sounds just perfect for summer! Yes – it’s SO hot!! Thanks Ashley!! Amazing colour and beautiful pictures! This is what I call a perfect summer drink!